To address hunger in Greater New Haven, in 2015 the Office of Sustainability, along with Residence Life, partnered with Chartwell’s and the Food Recovery Network’s Connecticut chapter to collect excess unserved food from Conn Hall and campus food retail locations. 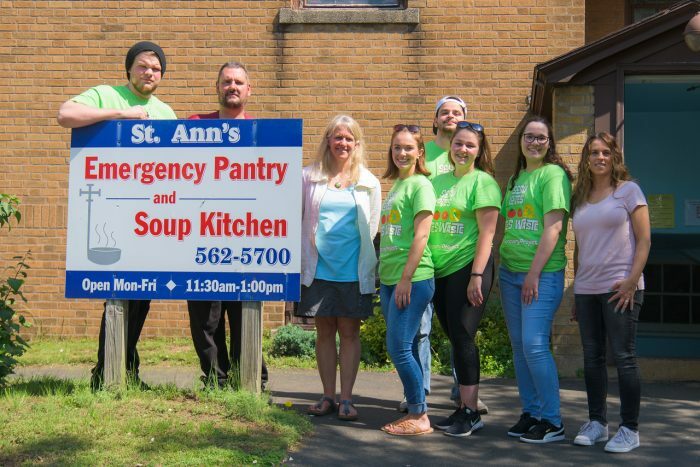 The unserved food is delivered to soup kitchens like the one at St. Ann’s Church in Hamden. “Without the students, we wouldn’t have any of it,” says Suzanne Huminski, campus sustainability coordinator. Each semester, SCSU sustainability interns plan and manage all aspects of daily food recovery, including logistics, collection and delivery, scheduling, administrative meetings, tracking results, and communications with community partners. The food recovery program is the fastest growing initiative that the Office of Sustainability oversees. Since 2015, over 30,000 pounds of food have been diverted from the waste stream, which equates to 23,000 meals served to those in need. The food recovery program has been such a success that there are plans to expand it. “We find that it really resonates with students, from donating the food to thinking about where the food is going and how’s processed,” says Heather Sterns, recycling coordinator. Nonperishable foods collected from resident students are delivered to St. Ann’s Church food pantry. The nonperishable food collection is another initiative that engages students. At the end of each semester, when they move out of their residence halls, resident students are encouraged to donate their unused, nonperishable foods instead of throwing it all away. Julie DellaVecchia ‘17, now a university assistant in the Sustainability Office, notifies students months beforehand with handouts and flyers, asking them to save as much food as they can before collection. The efforts for the 2018 spring semester yielded 2,500 pounds of nonperishable foods to go to people in need. The impact of Southern’s sustainability efforts isn’t just felt on campus. “We make sure to reach a broader campus community and the city of New Haven to promote and facilitate sustainability,” says Huminski. 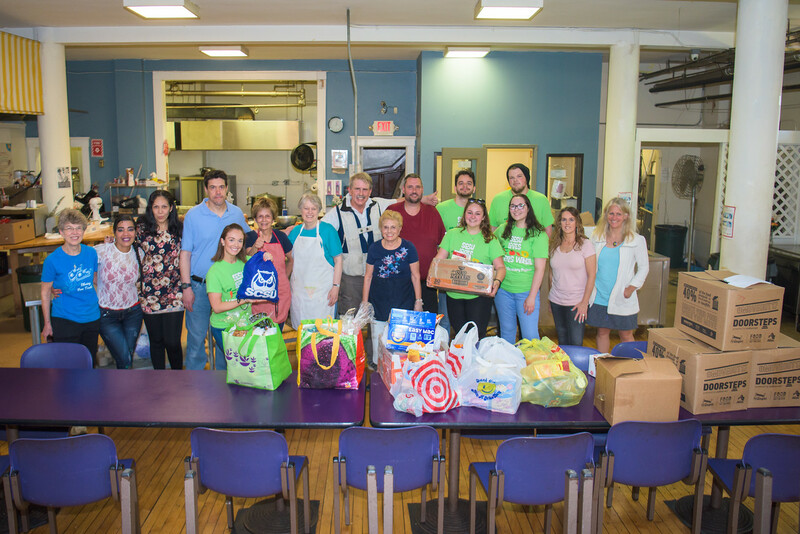 Fighting food insecurity and giving people in the Greater New Haven area not just the resources they need, but the education to produce these resources, is just one way Southern gives back to the community. The campus garden is another example of Southern’s outreach. The garden is student-run, and the produce grown in the garden is donated to organizations in the community, such as soup kitchens and emergency food pantries. Jennifer Anaziano, ‘18, is one of the sustainability interns who works in the garden. “We do things like weed, and recently we’ve planted more basil plants and a butterfly bush,” says Anaziano, adding, “we grow produce without using any pesticides. We only use organic chemicals.” In 2017, the garden was able to donate over 900 pounds of food to organizations in the community. 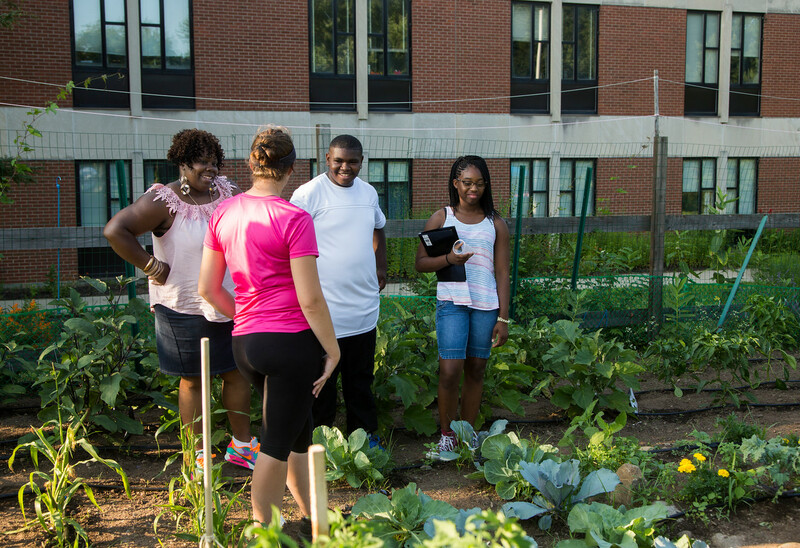 Last year, the Sustainability Office partnered with CARE (Community Alliance for Research and Engagement) and New Haven Farms to allow the students to grow more produce and offer nutrition programs, cooking demonstrations, and garden tours to families during the summer. Founded in 2007, CARE works to identify solutions to health challenges through community-based research and projects focusing on social, environmental, and behavioral risk factors. The summer garden nutrition program is running again this summer, again serving area residents who want to learn about growing fresh fruits and vegetables, nutrition, and healthy cooking. Many of the participants don’t have a yard, so they can’t have a garden, and they enjoy watching the vegetables grow and learning how to cook with fresh produce. Having people take what they learn from the community garden and sharing it with friends and family is a major step towards a more sustainable future, “Sustainability is a long-term issue that is never going to go away, so having a population that is prepared to manage those challenges in the future is vital,” says Huminski. Like most college students after graduation, women’s studies graduate student Allegra Itsoga wasn’t sure what she wanted to do for a career. Her inspiration came from one of her economics professors, who was from Ghana and talked positively about being taught by Peace Corps volunteers. With a B.A. 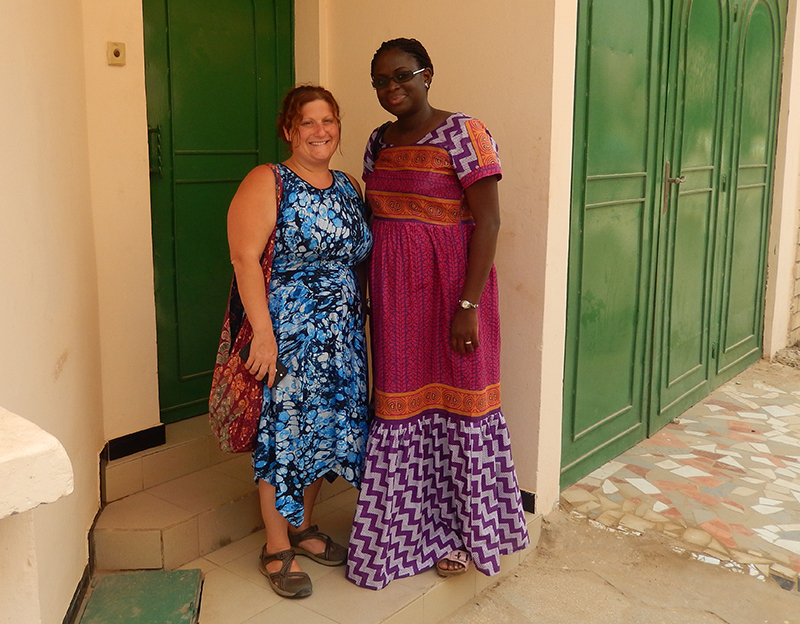 in French and development economics from the University of San Francisco, as well as an interest in Francophone countries, Itsoga’s transition to Peace Corps volunteer made sense. The Peace Corps is a service opportunity for driven innovators to immerse themselves in a community abroad, working side-by-side with locals to address challenges of today. In 2003, Itsoga, a native of Watertown, Conn., joined the Corps and was sent to Gabon, located in Central Africa, where she spent 27 months living with a host family. During those months she developed and implemented English as a Second Language curriculum for children, ages 11 to 19, and organized and implemented an AIDS Awareness March with 5,000 students, as well as increasing levels of AIDS education and awareness. “Because of my fluency in French, I was able to immerse myself in the culture really well,” Itsoga says. She loved the experience so much, she decided to stay an additional 14 months. Living abroad for Itsoga was easy; the harder part was coming back to the States. 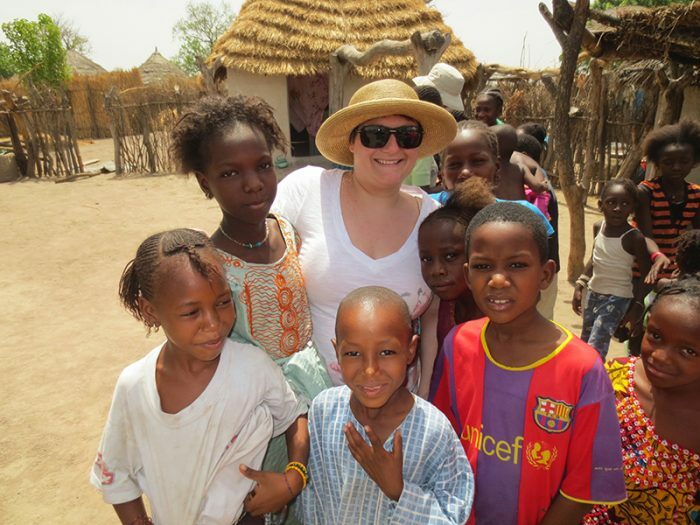 Her time in the Peace Corps ignited her passion for social justice and made her realize that interacting with communities and individuals was a must for her future employment. “After an experience like the Peace Corps, I knew I couldn’t work for a for-profit company,” she says. 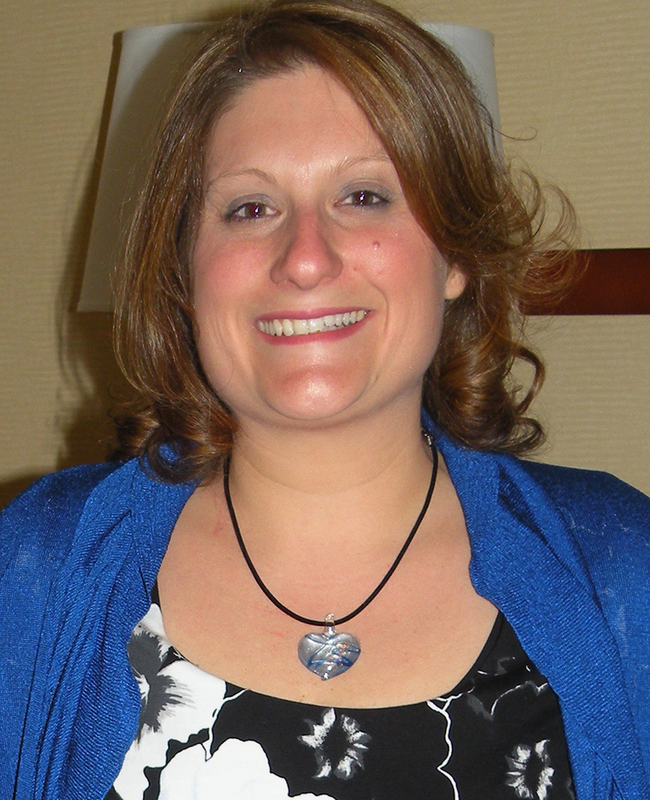 She found her next opportunity at the Connecticut Public Broadcasting Network, where she started as a customer service representative and worked her way up to events management. Itsoga believed in the mission of public broadcasting, which is dedicated to providing diverse communities with a mix of entertainment programs and services. Currently, Itsoga is director of Le Korsa, a nonprofit organization devoted to improving human lives in Senegal, Africa. Korsa translated from Pulaar, a Fula language spoken mainly by the Fula and Toucouleur peoples in the Senegal River valley area, to English means, “love from respect,” and it shows in the work Le Korsa does. 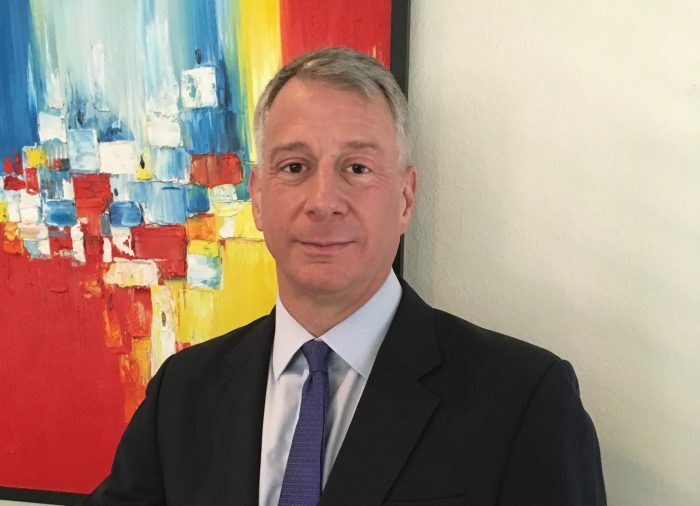 Le Korsa is unique because it works directly with the population to determine what the people want, and then designs projects around those wants. “Most NGOs do a cookie-cutter project and keep repeating it over and over in other areas,” Itsoga says. These fly-by-night organizations might build a hospital and be gone the next day, leaving the population with no knowledge or funding to run such an operation. “Community-centered development is the only development that is sustainable,” she says. Djiguene Yi Women’s Health Center in Dakar, the first free, government-sanctioned women’s health care facility in Senegal. Itsoga thinks of herself as a facilitator; the real heroes, as far as she’s concerned, are the people she’s working with: The doctors that choose to stay in Senegal and work for practically nothing, the teachers that go into these tiny villages and live without power to help children, the farmers who are growing food and then giving it to the community, and the women who are getting together to do outreach. With the creation of the women’s center, Itsoga realized she needed to further her education to learn more about why, precisely, projects like the women’s center are so vital. “I knew I wanted to get my master’s, I just wasn’t sure in what,” she explains. Knowing that Itsoga wanted to pursue women’s studies, a friend of hers recommended Southern’s master’s program, where one of the most highly regarded professors in the field, Yi-Chun Tricia Lin, teaches. Itsoga joined Southern’s women’s studies graduate program in fall 2017. While it’s challenging balancing work with her master’s program, Itsoga says, “the unique thing about the women’s studies department is that they get what it’s like for working women.” Her work at Le Korsa and the curriculum of her master’s program don’t always intersect, although her most recent thesis, on how the patriarchal funding structure of NGO’s disenfranchises small, women-led organizations, is inspired by her nonprofit work.